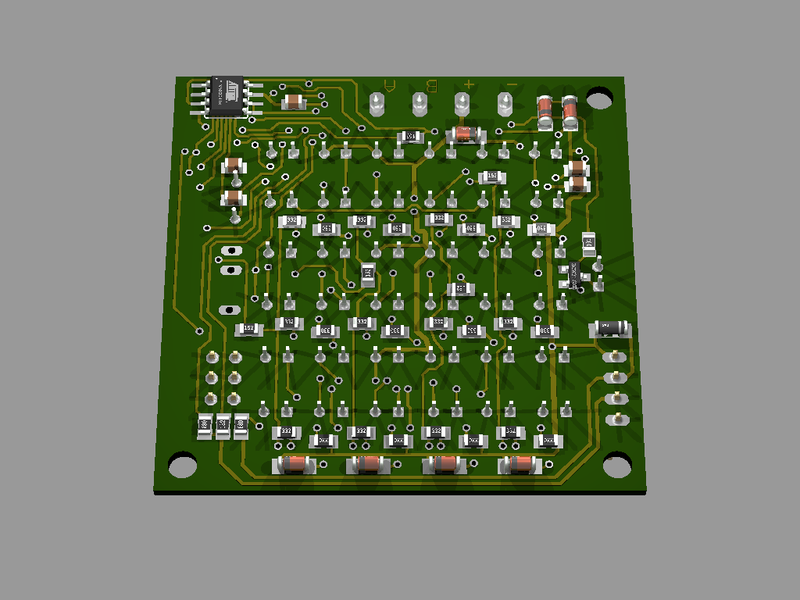 This is a SMD-version of the Fnordlicht by FD0. The Fnordlicht is a RGB-Light which kann light in all colors by mixing the base-colors red, green and blue. 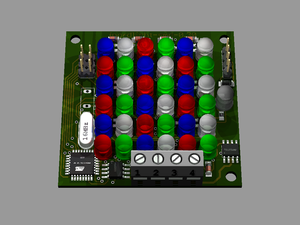 This can be done by a program running on the Fnordlicht itself, or controlled from a PC. 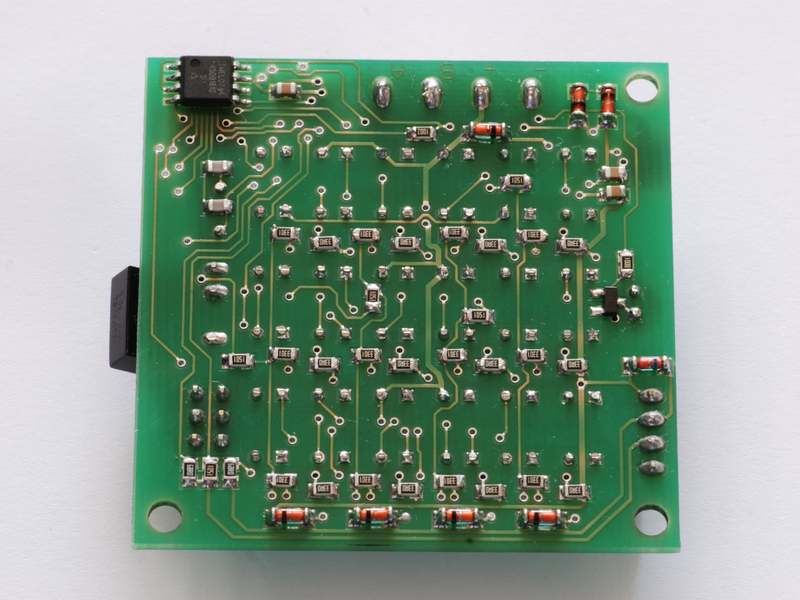 SMT are surface mounted devices: Parts that are fixed on top of the PCB instead of having wires that are plugged through the pcb and soldered below it. Most of the time, they are smaller and not as easily manageable as their wired counterparts. 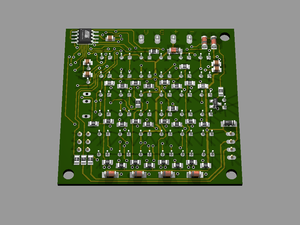 RS485: Using the RS485-Bus (which is the eletrical base for DMX ) many Fnordlichts can be controlled together, z.B. by one Fnordlicht connected to a PC or by the etherrape, which has Ethernet and RS485 Interfaces. Fourth color: The Fnordlicht-SMD has a fourth color-channel, for example to create a brighter white, or to use UV (ultraviolett) or similar effect-LEDs. 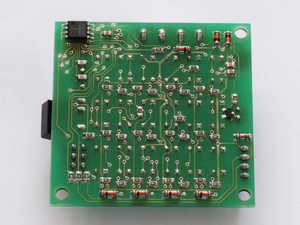 Smaller: Due to use of SMT-parts, the Fnordlicht is now using only one PCB, the connections of the original are not needed anymore. Infrared: The Fnordlicht has a infrared receiver and an infrared sender to send and receive infrared-remote-control commands. 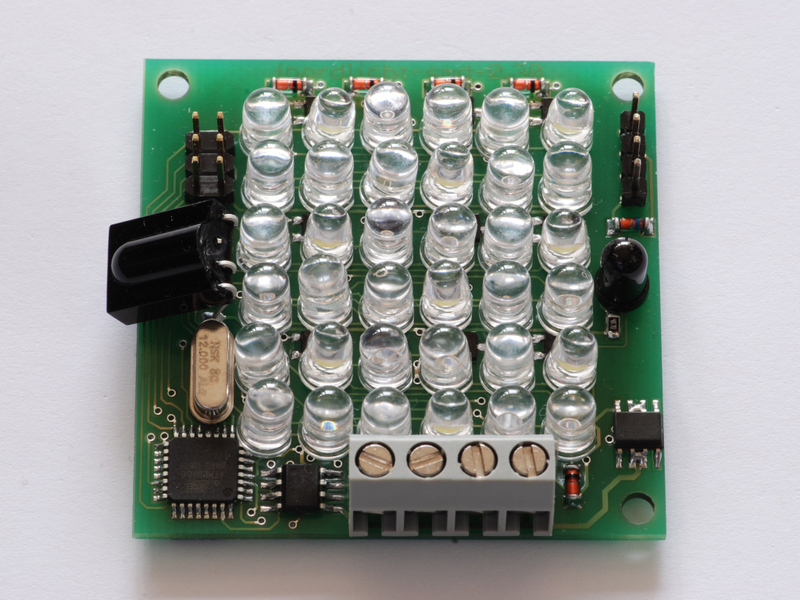 USB: The Fnordlicht-SMD has a USB-Port, which can be used to control it and to upgrade its firmware. Dataflash: The Fnordlicht is prepared to be equipped with a 16MBit dataflash. 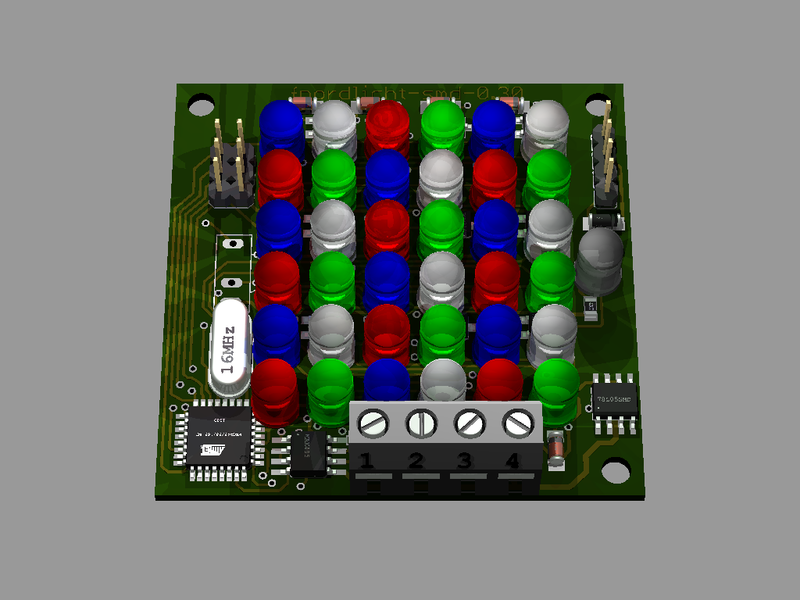 Only the new version of the kits and boards are available via the Lochraster.org-Webshop. The software of the USBnotify is opensource and released under GPL2.